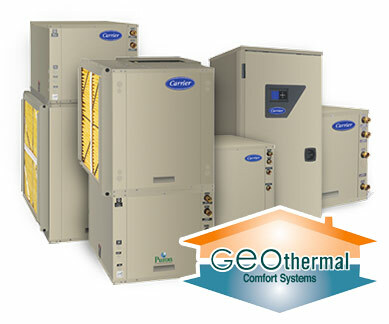 When installed properly, geothermal systems are practically maintenance free. Wells are drilled deep into the earth where we bury plastic piping, the buried loop lasts for generations. Using the earth as a giant heat exchanger, these pipes are filled with antifreeze and then carry a tempered solution to the indoor geothermal equipment. While the indoor half of the operation: the unit’s fan, compressor and pump are protected from the harsh weather conditions. Usually, the only maintenance checks required are the filter changes. Your first step in having a geothermal system installed is to contact AMHAC and have a Sales Engineer provide expert insights on the design and compatibly of which model will suit you’re needs. These systems currently have large tax incentives and rebates from the Federal Government as well as local energy providers.